mazhavil manorama channel started the latest season of popular malayalam dance reality show, d4 dance junior vs senior. Latest season of d 4 dance is titled as junior vs senior. this is the 4th season of d4dance after season 1, 2,3 and D4 Dance Reloaded. d4dance season 4 is titled as junior vs senior. which is started on 1st may 2017, this season is hosted by Ankit and Television actor Rahul Ravi. winner of the season will be awarded 25 Lakh Rupees and second prize winner will get Rs.10 Lakh. Priyamani, Mamta Mohandas, Neerav Bavlecha are in the judging panel of d4dance season 2017. mazhavil manorama running an official youtube channel, they are uploading all the shows latest episodes through the same. 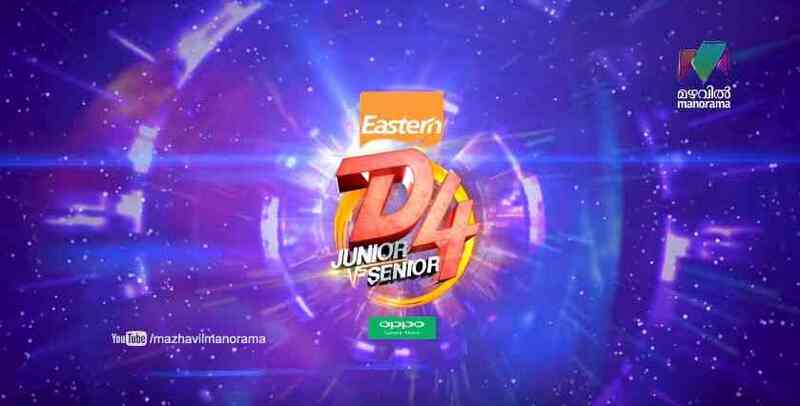 you can watch d4dance junior vs senior latest videos through the same. there is separate playlists for mazhavil shows. So far this malayalam dance reality show completed 7 episodes, mazhavil manorama added all these videos. you can open youtube from desktop or mobile browser. search for mazhavil manorama, for future updates subscribe to the channel. if you are using an android device, open youtube official app and search for mazhavil manorama. as per latest barc trp ratings, mazhavil channel is placed at second place. they have recently update the logo. athmasakhi, sthreepadam, ammuvinte amma, karnnan, ottachilambu, komady circus etc are some of the shows. all these shows except karnan are available through this way. This is the official and legal options to check mazhavil shows online. Disclaimer – we are not streaming any video content here, just discussing about the legal sources to watch d4 dance junior vs senior online.